Are There Drawbacks to Hosted Office 365 Solutions for Credit Unions? 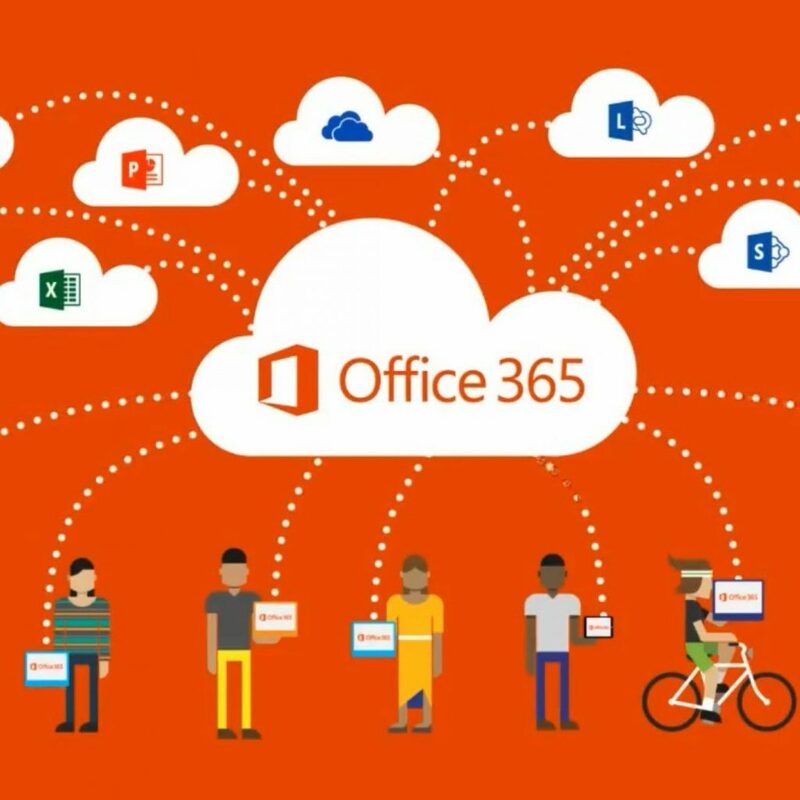 Office 365 is the latest and greatest of Microsoft’s productivity suites. It boasts increased security, broader functionality, and cloud-based architecture. Hosted solutions offer even more of the same benefits. However, if you’ve been considering migrating to Office 365 for your credit union, you may be wondering if it’s the right move for you. Throughout the years, Microsoft has been the go-to platform for business computing. Not all of its offerings have been met with universal appreciation though. In fact, we know a couple businesses who managed to cling to Windows 2000 almost until Windows 10 was released. If it ain’t broke, don’t fix it, etc. Keep in mind that these holdouts weren’t just any mom-and-pop retail stores—they were corporations, architectural firms, engineering operations, and that ilk. You know, serious businesses. That said, not everyone is ready to embrace our technological future. Here are a few drawbacks to hosted Office 365 solutions for credit unions. Credit unions who still use simple mail transfer protocol (SMTP) may wait to hold off on migrating to Office 365. While there are versions of Office that use SMTP without any limitations or drawbacks, there are some versions that could run into transitional problems. Credit unions depend on cutting edge technology to compete with larger financial institutions, but a few credit unions aren’t quite ready for the switch. If your credit union is still using a mail server that operates on unauthorized SMTP, you may want to pump the brakes a little. Not all SMTP servers are created equal. Some older versions use unauthorized protocols geared toward internal use; these were more common before cloud-based applications became prevalent. Unauthorized SMTP servers may still work well for credit unions who keep most of their mail internal, but they begin to lose efficacy in cases that call for newer, more stringent protocols. Hosted Office 365 solutions work much better when migrating more recent technology. If your credit union still uses unauthorized SMTP mail servers, it might be worth it to weigh your options and develop a more timely, strategic move to cloud-based productivity solutions. If you’re worried about workflow processes that don’t translate to Office 365, we totally understand. In some cases, critical processes that you’ve set up don’t work in Microsoft’s newest offerings. For example, you may use elaborate macros that won’t move over quickly to Office 365. Unfortunately, that’s a valid fear. For credit unions with older versions of Microsoft Office who have looked into migrating to newer iterations, there are a few speedbumps. For versions as old as 2010, some of the more intricate macros don’t translate to hosted Office solutions as well as one might expect. For instances in which broader, macro-enabled productivity would be severely impacted in an upgrade, we recommend exercising caution. While those macros and productivity workflows can be replicated, it takes time to set up the same type of functionality for new versions of Office. In short, if your credit union relies on shortcuts that you’ve built into older versions of Office for manageable productivity, you may way to delay adoption of Office 365. Another consideration before moving to Office 365 is where your Microsoft licensing sits currently. If you’ve just recently renewed your subscription to an older, legacy version of Microsoft Office, you might be better served by riding out that license. While you may not enjoy the security or functionality of the newer, cloud-based platform, your dollar will go further with the version you’ve already purchased. Especially for credit unions who have negotiated longer contracts with Microsoft, it might not make sense to migrate to hosted Office 365 while there are still years left on your current license for a legacy version of Office. Functionality from year to year expands only incrementally, but licenses maintain utility until their expiry. If you just signed a new license for an older version of Office, you may want to get your dollars’ worth out of it before looking into a switch. If it ain’t broke, don’t fix it. Migrating to Office 365 is a complicated ordeal for credit unions, and it must be strategically done. Hosted solutions are a good option when unauthenticated SMTP, old macros, or legacy licenses allow, but it’s not always worth risking money and productivity in the meantime. The best course of action may be to work with what you’ve got a little while longer. Keep in mind however, that Microsoft will not renew older versions of Office, and that a move to Office 365 is inevitable. If migration looks daunting, your credit union might consider a hosted solution, which will drastically cut down on the legwork required of your IT team. On the other hand, if you have time and resources to spare, you may not have much to worry about for a while. Click here to learn more about Hosted Office 365 Solutions for your Credit Union.